Despite only being the distributor for the game, EA is stepping up and offering money off vouchers and free games to at least some of the people that bought APB. Making an MMO is a risky business, and a fairly high proportion of them fail before very long. 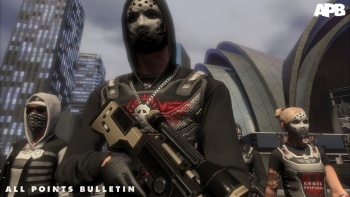 APB bit the bullet faster than most however, leaving thousands of fans upset that they'd invested money in a game they couldn't play after just a few months. There is some light at the end of the tunnel however, as people are reporting that EA is offering compensation to some players. In a thread on the Steam forums, a user by the name of "Dragonshadow" posted a chat log of a conversation she had had with a member of EA support staff. The customer service representative first offered a $20 voucher, but when pressed agreed to let Dragonshadow have a free copy of Dragon Age 2 when it was released. According to an update on the post, however, EA came back to her, saying that it couldn't offer Dragon Age 2 after all, so she took 4000 BioWare points instead. Other posters on thread have described their efforts to get some or all of their money back, and it seems they've met with varying degrees of success. EA doesn't seem to have any hard policy on how to deal with this, with some receiving vouchers, others receiving games, and some receiving nothing at all. It does appear that EA is only compensating those who bought the game after a certain date however, so if you grabbed it at launch, you might be out of luck. Still, if you're the in the situation of having bought a game just weeks before it became literally unplayable, then it might be worth getting in touch with EA Support and seeing what it would be willing to offer.